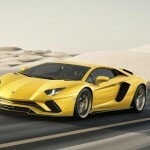 Last August, the Lamborghini Aventador SVJ was shown for the first time in Pebble Beach. Now, the supercar makes its way to the 2018 Paris Auto Show. 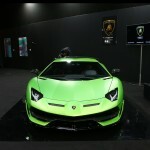 The Aventador SVJ definitely posed a strong presence at the event. 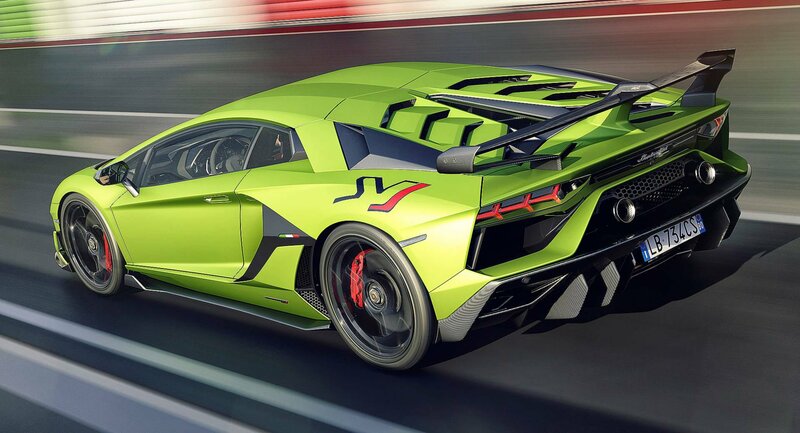 The highlights of the Aventador SVJ’s design include a pair of sports flaps that can be activated in under 500 milliseconds. Then it has a lot of aero parts like carbon fiber roof, rear decklid, front splitter, bespoke side skirts and custom wheels wrapped in Pirelli P Zero Corsa tires. 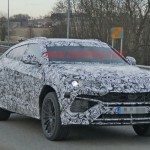 The supercar uses the second iteration of the Aerodinamica Lamborghini Attiva (ALA) system that was introduced by the Huracan Performante. 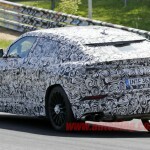 The latest version of the system helps improve the downforce of the auto by 40 percent while reducing its drag by one percent. 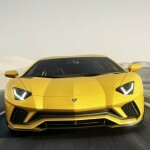 The Aventador SVJ is equipped with a naturally-aspirated 6.5-liter V12 engine. The unit produces 759 hp and 531 lb-ft of torque. The power is distributed to all four wheels via a seven-speed, single-clutch, independent shirt-rod transmission. 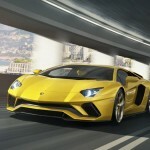 The 0-62 mph acceleration of the supercar is 2.8 seconds, and its top speed is more than 217 mph. It’s so fast that it set a Nurburgring lap record during its development stage. It covered the whole lap of the endurance track in merely 6 minutes and 45 seconds. 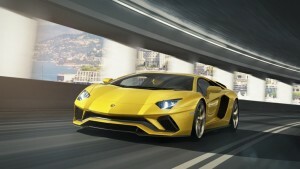 Of course, being a Lamborghini and with all those mind-blowing specs, the Aventador SVJ is a very expensive car. The vehicle costs $517,700 in the US. Its production is limited to 900 examples only. 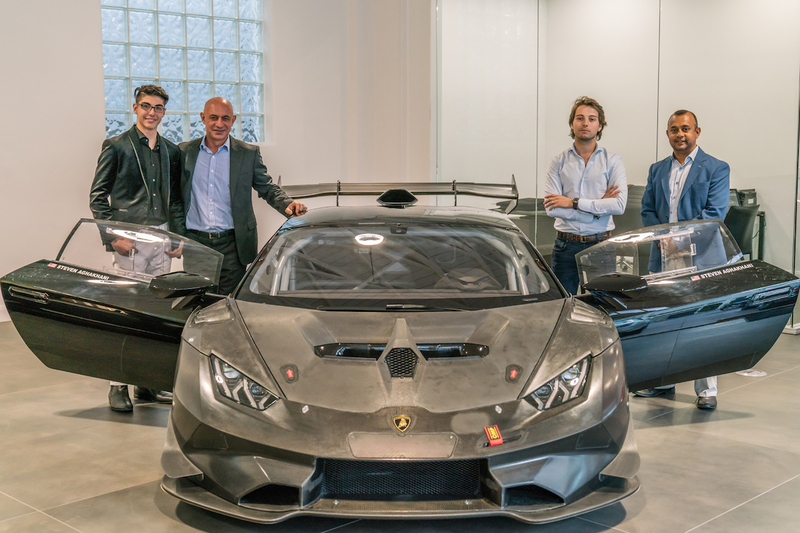 The new Lamborghini Huracan Super Trofeo Evo just reached the U.S. soil. 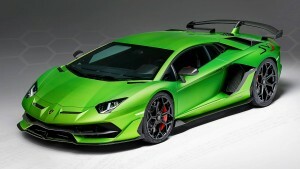 The recipient of the supercar was a 14-year old high school student in California. 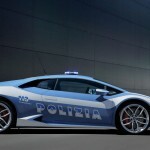 Last week, the teenager Steven Aghakhani welcomed the delivery of the Lambo worth $295,000. It came as a surprise to him by his father at Lamborghini Beverly Hills. At first, it may sound like a very rich father spoiling his kid. However, for those who are not familiar with Aghakhani, it should be noted that he deserves it. According to Steven Racing, Aghakhani happens to be the National Auto Sport Association Southern Region champion. It was his first ever championship and he did it in his first year in the racing organization. The teen has been racing since he was seven. He started at go-karts during that period until he reached the NASA Pro Series Southern California Regional Championship. 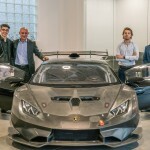 In the 2018 season, Aghakhani will be competing using America’s first Huracan Super Trofeo Evo under Steven Racing. 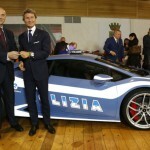 He will be taking the supercar against his rivals in spring. The Huracan Super Trofeo Evo was constructed by Lamborghini Squadra Corse. The development of its chassis was from Dallara Engineering. The heavy use carbon fiber helped improve the auto’s aerodynamics and downforce. Along with the upgrades include new safety features like its roof hatch that provides another exit for the driver during an accident. The Huracan Super Trofeo Evo is equipped with a 5.2-liter V10 engine. The one to be used by Aghakhani in racing has been tuned to deliver 620 hp and 413 lb-ft of torque. The power is distributed by an X-Trac six-speed sequential transmission. It also comes with Ohlins dampers and MOTEC electrical components. In just three years, there were 8,000 Lamborghini Huracan cars built already. 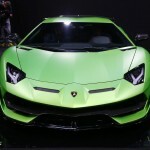 The figure surpassed the number of Lamborghinis ever made before 1999. 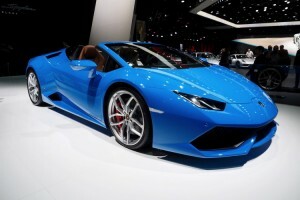 The Huracan is Lamborghini’s entry-level model. 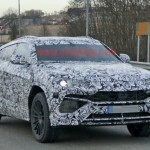 It was introduced during the Geneva Motor Show in 2014 and it came into the market in the second quarter of that same year. 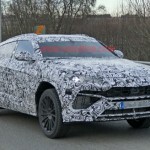 While the three-year figure is minuscule compared to the number of cars other companies make within the same duration, for a Lamborghini, that is already lot. 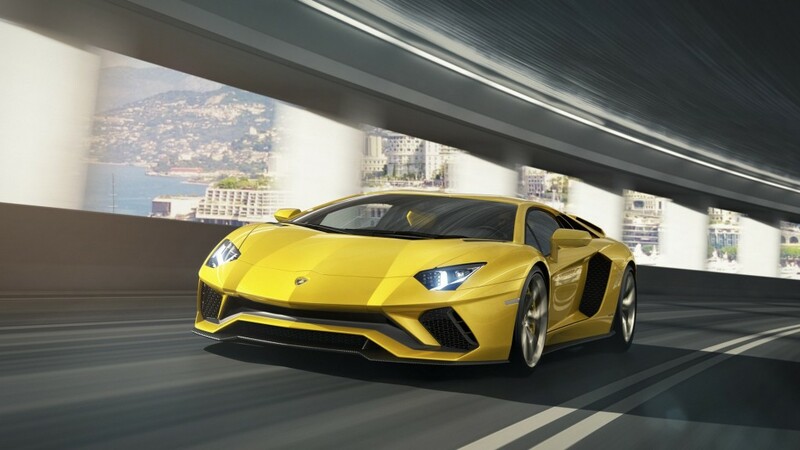 RoadAndTrack estimated that Lamborghini reached the 8,000 threshold when it comes to the total number of vehicles it produced sometime in 1999. 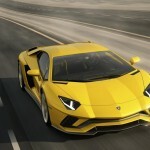 Citing a data from the International Lamborghini Registry, the brand already produced around 5,599 units, excluding the Diablo, before 1993. Doing the math, the 2,401st Diablo that came out during that period is possibly the brand’s 8,000th car. The company also disclosed that it produced around 3,000 Diablos during its production run, which ended in 2001. Thus, this supports the assumption that the company already produced 8,000 vehicles in 1999. Regardless of when the company achieved the said numbers, the 8,000 figure definitely speaks a lot about the performance of the brand in this era. 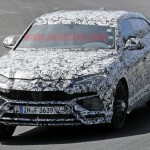 It its worth mentioning that the name is already under the Volkswagen Group, which purchased the company through Audi in 1998. Though the Huracan still has a long way to go if it wants to take the mantle as Lamborghini’s most popular car. The predecessor of the car, the Gallardo, remains the holder of that distinction. The Lamborghini Gallardo was introduced in 2003. The production run of the auto was until 2013. It is considered to the best-selling model of the brand because it sold around 14,000 during its production period. 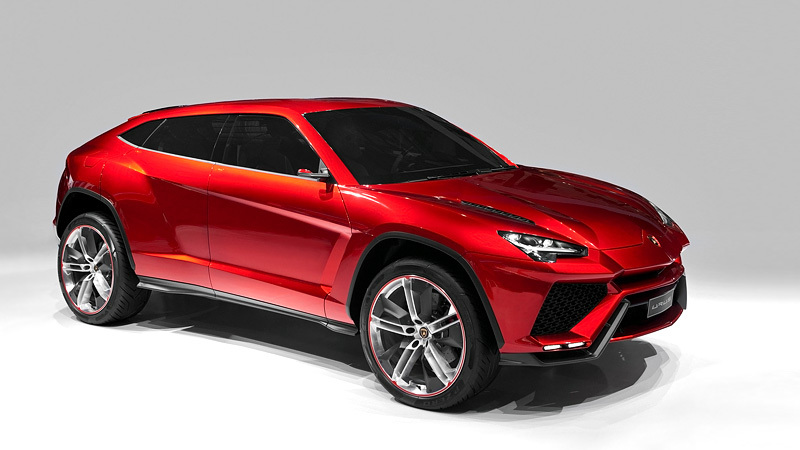 Some might argue that the number of its cars available now dilute the exclusivity of Lamborghini. However, it should be noted that there are still more Porsches than Lamborghinis in the road today. 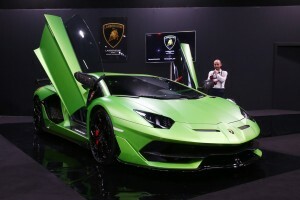 Lamborghini is truly one of Italy’s pride in the automotive world. 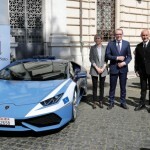 Recently, the Italian Police got themselves a new Lamborghini Huracan LP 610-4 to aid them in their fight against crime around the Bologna region. 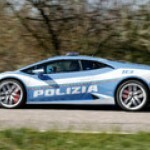 For some, the supercar might be too much for a law enforcement agency. First, it is too expensive because of its $200,000 price tag. Second, its 610 hp output is just overrated. 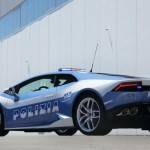 Then again, BBC claimed that the vehicle is a gift from Lamborghini to the Italian Police. So who in their right mind would turn that down? Moreover, in a police’s line of work, speed is definitely of the essence. 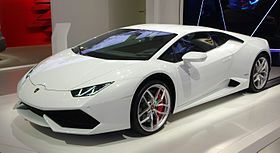 The Lamborghini Huracan can reach a top speed of 325 km/h. The one given to the police is equipped with state of the art technology to enhance its navigation, communication and security features. The special car’s main features include a police radio, tablet computer, firearm holster, fire extinguisher, hand-held devices for directing traffic and video camera. It is also packed with medical kit for first aid and refrigeration system in its trunk for transporting human organs. The exterior of the supercar gets a medium blue paint finish with white accents. 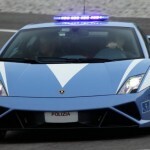 The paint follows the official colors of the Italian police. 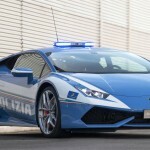 A police siren sits on the roof of the car and its sides are marked with “Polizia”. It is fitted with P Zero Pirelli tires to complement its very sporty appeal. 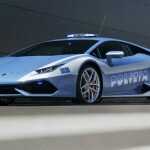 It should be noted that it isn’t the first time for Lamborghini to donate one of its creations to the police force. 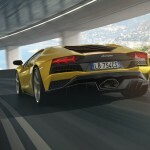 Three years ago, the company gave the agency a Lamborghini Gallardo, which is the Huracan’s predecessor. The head of the Italian State Police, Alessandro Pansa, took the delivery of the new Huracan. 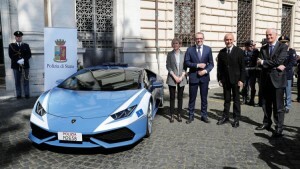 “This Lamborghini represents Italy and the quality of its people,” he said. “The same we find in both men and women who wear the uniform of the State Police,” he added. 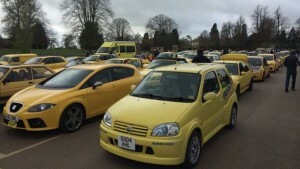 Yellow car owners recently paraded in Cotswold Village. The act is in support of the backlash that resident Peter Maddox received when he parked his yellow-painted Vauxhall Corsa outside his cottage in Arlington Row. According to BBC, the 84-year old gentleman in Cotswold Village was criticized by tourists for parking his yellow car in the historic place. They said that his auto ruins the view. People went as far as to vandalize the car. The report stated that the yellow Vauxhall Corsa was scratched, etched with the word “move” in its hood, had its panels damaged and its windows smashed. Due to the expensive repairs amounting around £6,000, Maddox told in an interview that he would just buy a replacement. He planned on buying a lime green-painted unit. In response to the harsh comments and acts against the yellow car of Maddox, 100 yellow car owners recently drove their vehicles along the roads of Cotswold Village. Matty Bee organized the event who pointed out that it was “a celebration of anything yellow”. For safety reasons, only 100 cars were allowed to join the event. 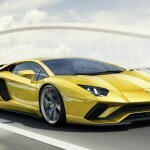 The yellow vehicles ranged from three-wheelers to an expensive Lamborghini super car. Maddox was delighted over the show of support to his yellow car. The source said yellow is the most popular color for cars in the UK in 2016 based on the records of the Society of Motor Manufacturers and Traders. The country saw 12,431 registrations of yellow cars in that year. An AA survey in 2011 also found out 15 percent of the respondents found that yellow cars have the safest color. Yellow topped that survey compared to other car colors. In the mid-2000s, the Lamborghini Gallardo Spyder was the talk of the town. It was a privilege enough to have driven it for four miles before, but we failed to get a good impression except that the V-10 was just too powerful. We also distinctly remember that its engine was quite roaring like a brick was thrown inside a grinder, but we were impressed nonetheless of the raw nature of the sound and appeal. Now, we get to test drive another Lamborghini creation—the Huracán LP 610-4 Spyder—at the Lamborghini press drive in Miami. This one’s a 610-horsepower supercar, so the expectations are actually quite high. It didn’t disappoint, but it didn’t impress us either. If you’re expecting a sports car that would roar through the streets of Miami or whatever city you’re in, you would be disappointed. The Lamborghini Huracán LP 610-4 Spyder is a “lifestyle car,” meaning it is best to be used while you’re cruising along the Miami coast rather than rattling the railings off its roads. The experience is founded on driving this in low speed and enjoying the feel of the engine, rather than pushing it to the extreme. That doesn’t mean the Huracán LP 610-4 Spyder cannot perform magnificently. 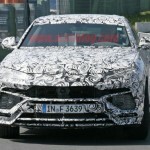 You have to remember it still shares the same aluminum spaceframe with the Huracán coupe and the upcoming 2017 Audi R8. Its structure, which used carbon fiber for the firewall and central tunnel, feels light but strong. It packs a 5.2-liter V-10 with 610 horsepower at 8,250 rpm and 413 pound-feet of torque at 6,500 rpm. 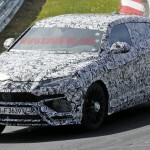 It has a direct and port fuel injection that allows for fewer emissions during startup and lets the computer choose the type of injection that works best for the throttle demands. 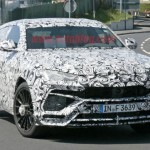 This engine is paired with the seven-speed dual-clutch transmission while the power is sent to all four wheels because of its all-wheel drive. In terms of acceleration, it can accelerate to 62 mph in 3.4 seconds, vault from 0 to 124 mph in 10.2 seconds, and reach a top speed of 201 mph. Overall, the Huracán LP 610-4 Spyder’s “power” came from Lamborghini’s passion for design, power, performance and aggression. 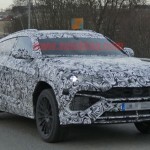 In terms of specs and features, nothing much is outstandingly impressive with this machine—aside, of course, from the fact it is based on Lamborghini’s history and legacy of coming up with the best for whether they created a sports car or a “lifestyle” car. After all the automobile giants like Mercedes, Porsche, Audi, etc. 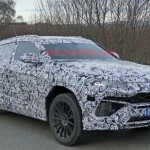 luxury car makers have also decided of making their way into the segment and bring for the SUV world some of the most luxurious (and expensive!) SUVs ever seen! After the news of Bentley, Rolls Royce and Lamborghini stepping into the category, we couldn’t think of any other but Aston Martin, who had signed a deal with Mercedes – AMG some time back. 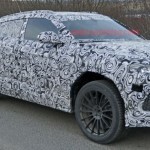 Aston Martin first revealed its Lagonda SUV Concept at the 2009 Geneva Motor Show, which was not liked very much by the SUV world as critics as well as SUV lovers did not really develop a liking for the vehicle. 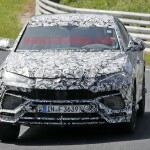 The company realized that there would have been a lot of changes to be made before they could expect good sales result after launching the SUV. 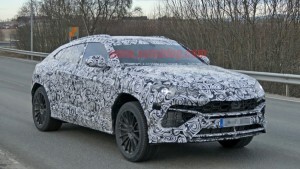 A thing to be noticed is that this was before the company signed the deal with Mercedes – AMG. With access to the latter’s excellent engineering and electronic assets, Aston Martin has planned of making the Lagonda all different. 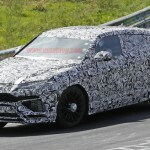 One of the largest changes to be made is that the Lagonda will now feature Mercedes Benz GL Class platform. 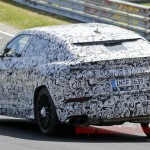 Earlier it sat on the Mercedes Benz M Class platform. All that Aston Martin is going through for the Lagonda SUV Concept reminds us of Porsche’s story which happened during the launch of the Cayenne. The SUV was also highly criticized during its concept period. 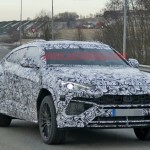 People accused the Cayenne of being ugly as per Porsche standards. 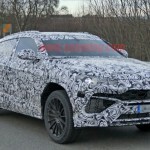 However, after the release of the SUV, Porsche reported huge rises in sales, and the Cayenne turned out to be a huge success. A lot of people are saying that the Lagonda is extremely ugly, especially since Aston Martin has presented gorgeous vehicles like the DB9 and the One – 77 to the world. However, the performance and luxury quotients of the Lagonda are unquestionable! 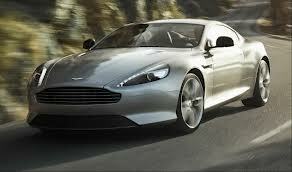 It’s an Aston Martin after all! 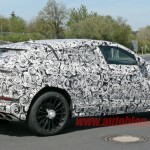 As far as the engine is concerned, we’re pretty sure that the company will put in a 6000cc V12 engine in the SUV. Lagonda will definitely be a four wheel drive vehicle, and will share motors with the legendary Aston MartinDB9. 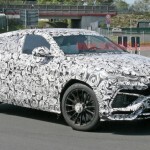 One admirable thing about the Lagonda is that the SUV will come with a wode number of available powertrains, and customers will be given a choice as per their will. 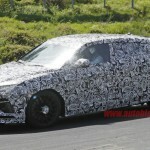 One will be able to choose from a diesel variant, petrol as well as a hybrid option. This facility combined with the capabilities of the all-wheel drive system that comes with the Lagonda makes it a very potential vehicle for off road experiences! We agree that the exteriors of the car are not as good as is expected from the company, but they have definitely set a new bar when it comes to luxurious and elegant interiors. However, Aston martin will definitely face extreme competition as it is entering a segment where giants like Porsche, Audi, Volkswagen, etc. have already made deep impressions. Beating legendary SUVs like the Cayenne, Touareg, Q7, etc. would definitely be very tough. We would love to see how the improved Lagonda fares in the SUV market.